From generation to generation, many little girls have dreamed of becoming real-life princesses. Although the dream may be far-fetched, it has certainly come true for some women (and men). Check out this list of Americans who have married into royal families and give us hope that maybe we can do the same. Yet another famous American actress to marry a real-life Prince was icy-blonde Grace Kelly. Grace could certainly play the part of a real-life Cinderella with both elegance and beauty to match. Her ethereal nature caught the eye of Prince Ranier III of Monaco, and the two began living what appeared to be a real-life fairy tale. Grace and Ranier seemed to have a relatively normal marriage and had three children together. They remained married until Grace’s tragic death after she suffered a stroke while driving in 1982. One of the most famous American women to marry royalty was two-time divorcee Wallis Simpson. 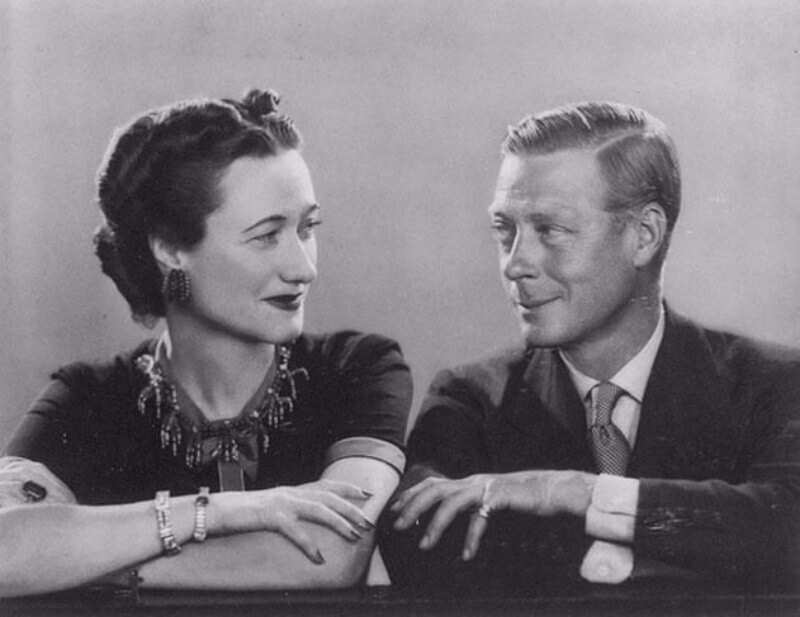 Even more remarkable is that in her case Wallis became betrothed to the King of England, King Edward VIII whom ultimately abdicated the throne for her. Back in 1936, it was thought that the people of England would not tolerate having a Queen who had previously been divorced. Quite a lot has changed because although Meghan Markle will not be Queen, she is also a divorcee. Needless to say, despite proposing several different ways to remain with the royal empire, none of the proposals seemed to suffice so King Edward left the throne in the pursuit of love. The bombshell red-headed actress Rita Hayworth is best remembered for being a Latina in early cinema. Her enigmatic on-screen ways were enough to allure the most dashing of partners – a real-life prince! 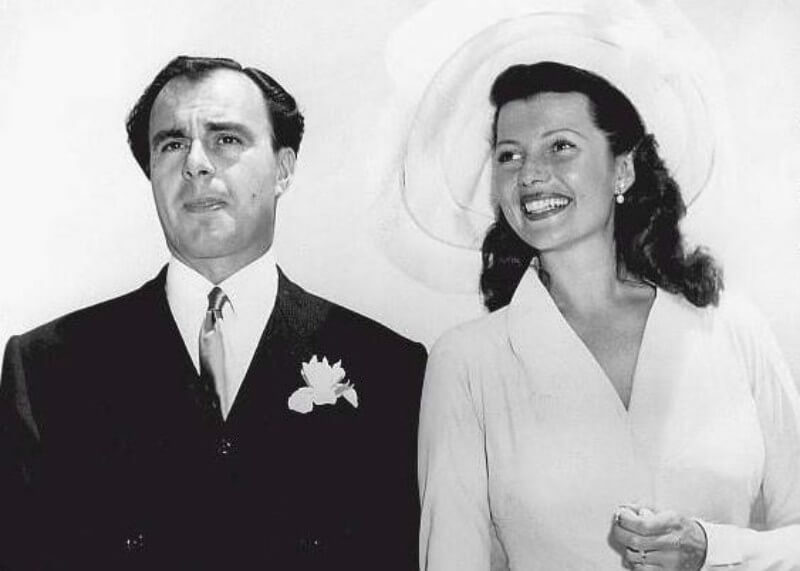 But her royal beau wasn’t the only romance in her life as Rita was married five times throughout before she passed. Notably, her second marriage was to legendary actor and director Orson Welles. The marriage following her divorce from Orson was to Prince Aly Khan who was the son of Sultan Mahommed Shah, Aga Khan III, the leader of the Ismaili sect of Shia Islam. The pair had one daughter together, Princess Yasmin Aga Khan. Ultimately, the two divorced and had a massive court battle over their daughter due to arguments over whether she would be raised Christian or Muslim. 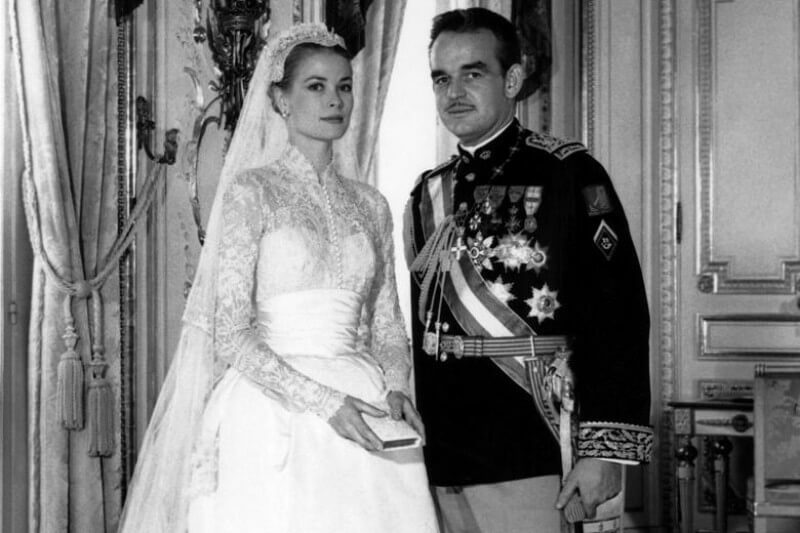 Grace Kelly wasn’t the only American woman to marry royalty from Monaco. Preceding her was Alice Heine who hailed from New Orleans, Louisiana. Alice, a divorcee, went on to marry Prince Albert I of Monaco in 1889. 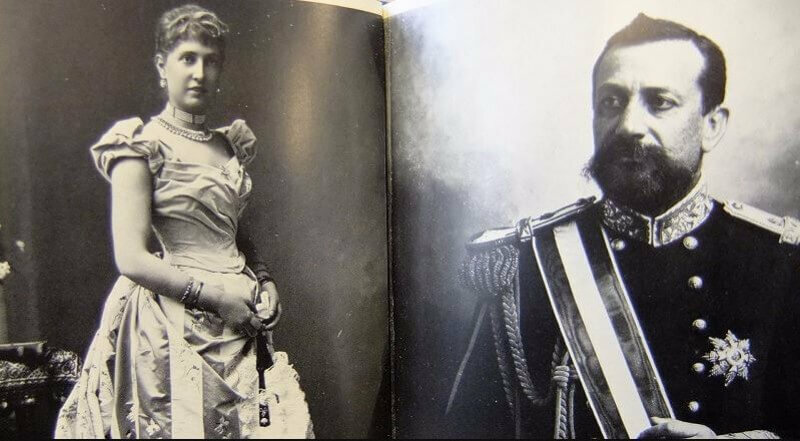 The marriage was not monogamous as the Prince regularly had a side lover named Caroline Otero, a courtesan. Alice couldn’t be bothered as she was more interested in cultural and artistic happenings anyway. Interestingly, she is credited with influencing Monaco’s love of opera, theater, and the ballet. Alice was also said to have strayed from the marriage with a composer named Isidore de Lara. This affair resulted in Prince Albert publicly slapping his wife. Unsurprisingly, the two later split in 1902 although they remained married for the rest of their lives. After her first marriage ended she ventured into the world of royalty, and in 1959, married the Polish prince Stanisław Albrecht Radziwiłł. They had two children together, Anthony and Christina. Their marriage wasn’t written in the stars, however, and the two divorced in 1974—two years before the Prince’s death. 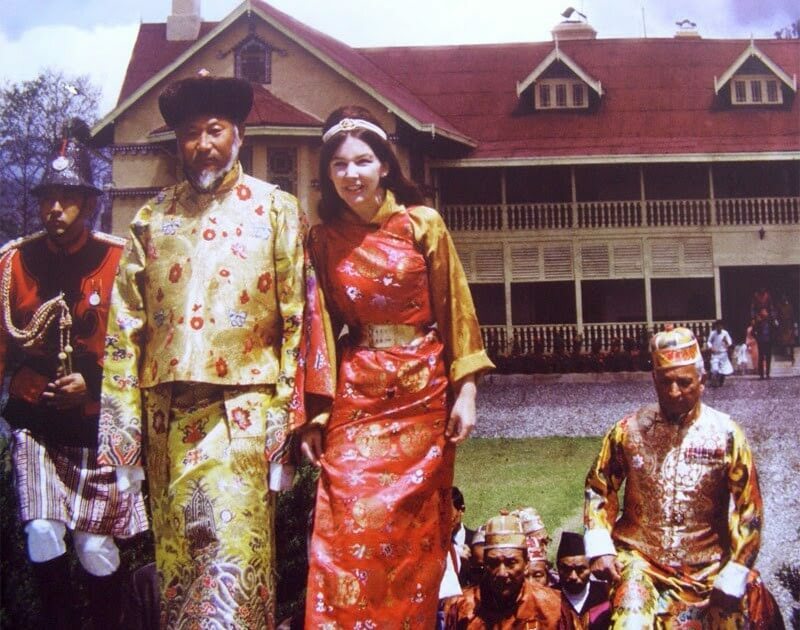 American Hope Cooke was destined to become the “Gyalmo” (basically, the Queen) of the 12th Chogyal (King) of Sikkim, Palden Thondup Namgyal. The two met when Hope was just a freshman at Sarah Lawrence College majoring in Asian studies. While on a trip to India she met Palden Thondup Namgyal, Crown Prince of Sikkim at the Windemere Hotel in Darjeeling, India. Although he was nearly twice her age the two hit it off and married several years later in 1963. The laws of Sikkim, at the time, required Hope to renounce her American citizenship. The couple had three children together, although the marriage was not to last and two separated in 1975. It is also worth noting that Namgyal was the last King of Sikkim as the country was annexed by India. Noor Al-Hussein was born Lisa Najeeb Halaby in Washington D.C. Queen Noor had a Swedish mother and an American father with Syrian roots. In 1978, she married King Hussein of Jordan. Before the two were officially married, Lisa converted to Sunni Islam and took the name of Noor. Queen Noor and King Hussein had four children together in addition to the King’s seven children from a previous marriage. The two remained married until the King’s death in 1999. Queen Noor is known for her work with various charities and organizations promoting the benefit of others. Some of her work includes serving on the Board of Commissioners of the International Commission on Missing Persons, serving as an advocate for the Global Zero campaign (an anti-nuclear weapons proliferation campaign). She was awarded the Woodrow Wilson Award in 2015 for her service. Marie Chantal Miller was born to an American businessman billionaire father and an Ecuadorian mother. Being from such a well-to-do family made it no surprise that she (and her younger sister) ended up marrying into royalty. 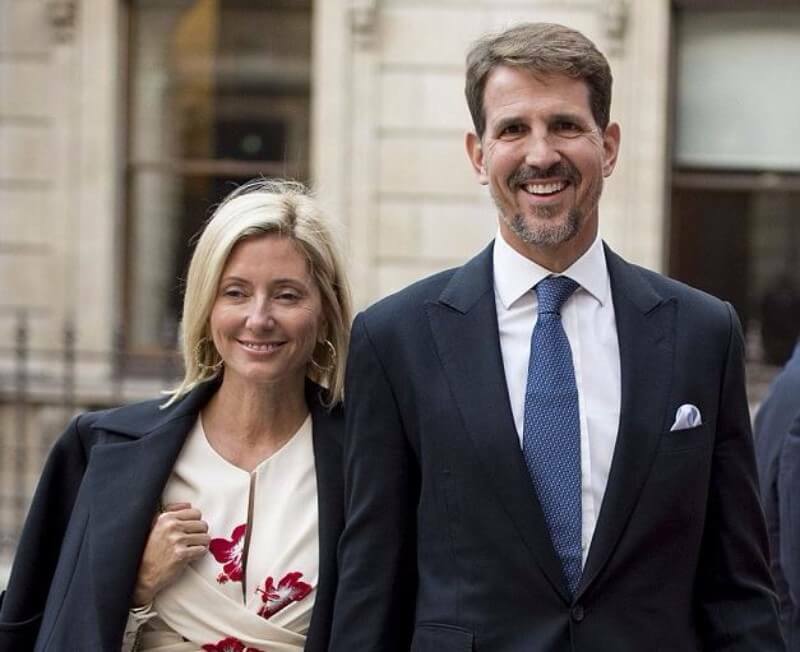 Marie Chantal married Pavlos, the Crown Prince of Greece in 1995. In order to marry him, she also converted from her birth religion of Roman Catholic to the Greek Orthodox church. Both the bride and groom were relatively young and definitely the talk of the town. From Marie’s large cabochon-cut sapphire and heart-shaped diamond ring to her Valentino-designed wedding gown, the affair was nothing short of extravagant. The two have since had five children together—one daughter and four sons. Alexandra Miller is the younger sister of Princess Marie Chantal of Greece. Of course, she couldn’t let her big sister be the only one to marry into a royal family. Alexandra married German Prince Alexander von Fürstenberg in 1995 and went on to have two children with the royal. Prince Alexander is the son of the famous fashion designer Diane von Furstenberg. Although the marriage ended in divorce, apparently it was quite amicable as Alexandra kept the family name despite remarrying and she continues to work as the image director for her former mother-in-law. Diane Halfin was born in Belgium but later became an American citizen. Only eighteen months before her birth, her mother was a prisoner at the Auschwitz concentration camp. While in college, Diane met Prince Egon von Fürstenberg, a German Roman Catholic prince. The two married in 1969 and had two children. Diane said that immediately upon marrying she began to design clothing because she wanted to have a career of her own. Much of her husband’s family was unhappy with the marriage because Diane is of Jewish ethnicity. Ultimately the marriage ended in divorce in 1983. Diane has since remarried to media mogul Barry Diller. Kelly Rondestvedt was born in San Diego, California and received both her Bachelor’s and MBA degrees at UCLA. She later began a career in New York City as an investment banker. While at a restaurant with friends, a meeting with fate stepped in that would change her life forever. She saw a very handsome man from across the room and soon sparks flew between the two. It turns out that Kelly had met Prince Hubertus Michael from Germany. The two married in 2009 in Prince Hubertus’ home country where many other figures of European royalty attended the wedding. The two continue to live in New York City where she maintains her job as an investment banker and Prince Hubertus also works for a German bank. Kendra Spears hails from Seattle Washington and was born in 1988. After graduating with a Bachelor’s degree in Sociology she began to pursue a modeling career in New York City, signing with Ford models and working with companies like Lanvin, Valentino, and Gucci. Ultimately, this was how she met her future husband. Kendra met Prince Rahim Aga Khan and the two married in 2013. Kendra has since taken the name of Princess Salwa Aga Khan. The two have since welcomed two sons. Kendra has since left the world of modeling behind and instead focuses on being a wife and a mother. This story almost seems as though it’s the real-life version of the movie Coming to America. An unsuspecting young American woman named Ariana Austin was enjoying her time out at a Washington D.C. nightclub when she met Joel Makonnen. The two immediately hit it off and quickly became an item. However, he didn’t reveal right away that he was actually royalty. 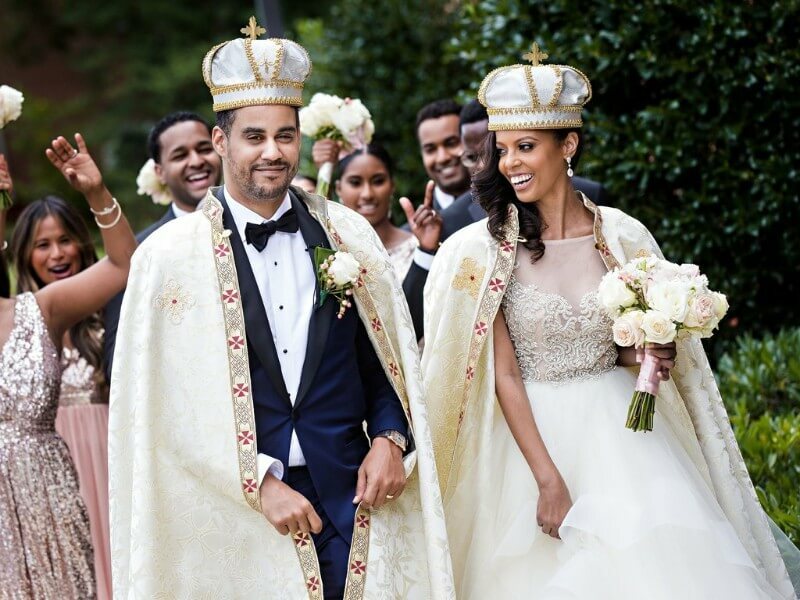 Joel is an Ethiopian prince, as the great-grandson of the last Emperor of Ethiopia. After the two were an official couple, a friend of Joel’s revealed the news to a stunned Ariana. By then, Joel was seemingly already convinced that she was the one. The two were married in 2017 in Temple Hills, Maryland. Sarah Butler is originally from Houston, Texas. Sarah studied in England at Prior’s Field, Hurtwood House in Surrey prior to earning her Bachelor’s degree in International Relations from the University of St. Thomas, and then a Masters in Development Studies from SOAS, University of London. Sarah went on to a career working with the United Nations Organization in New York City. 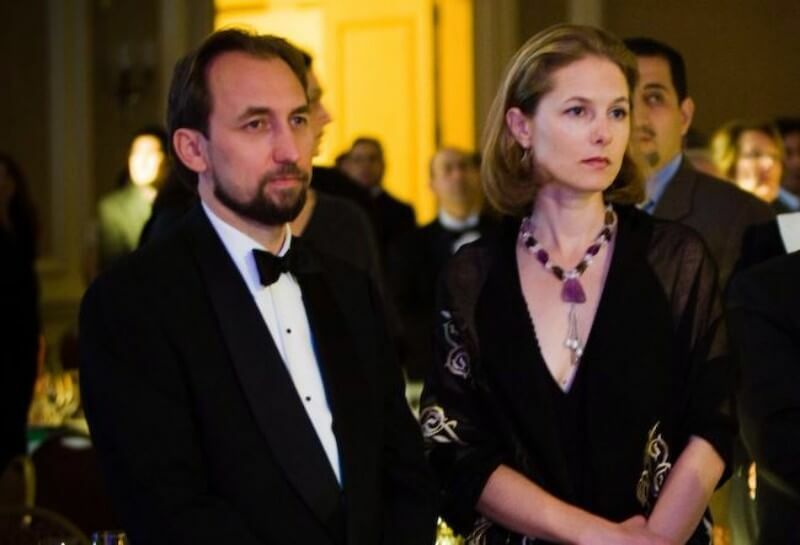 This is where she met her future husband Prince Zeid bin Ra’ad Zeid al-Hussein, the Crown Prince of Iraq. The couple married in 2000 and have three children together. The two settled in New York City. Christopher O’Neill holds dual citizenship in both England and the United States. He attended school at Boston University and Columbia Business School before beginning a career in the finance world. 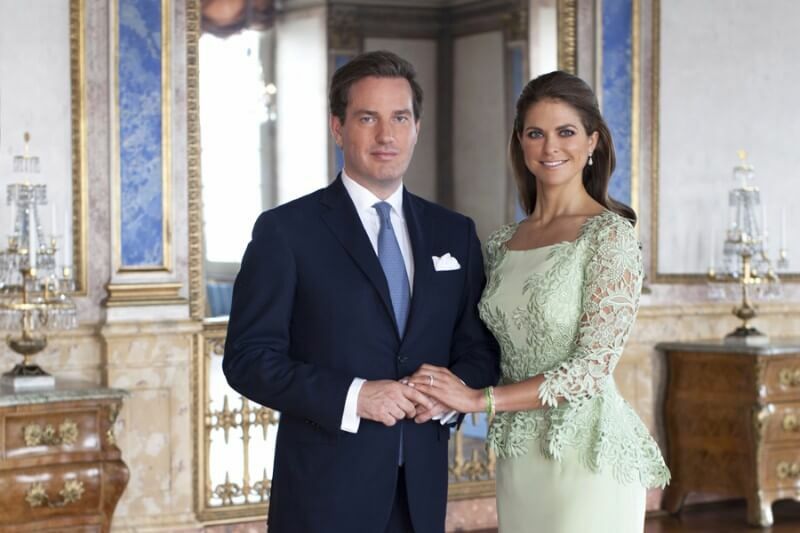 Christopher began dating his future wife, Princess Madeleine of Sweden. They became engaged in 2012 and were married in 2013. In the Swedish royal family, in order to hold a title, one must become a Swedish citizen. However, Christopher has declined to renounce either his American or British citizenship so he holds no Swedish royal titles. Christopher and Princess Madeleine have since welcomed two children together, a boy and a girl, and the Princess is currently expecting their third. The family has settled in London. Joan Dillon was born in New York City. Her father was the U.S. Secretary of the Treasury, C. Douglas Dillon. After her father was appointed an Ambassador to France, the entire family moved to the country in the 1950s. Joan’s first marriage in 1953 was to an American and the couple divorced only two years later after having a daughter together. Her second marriage was to Prince Charles of Luxembourg, and she was the first commoner to marry into the reigning dynasty of Luxembourg. 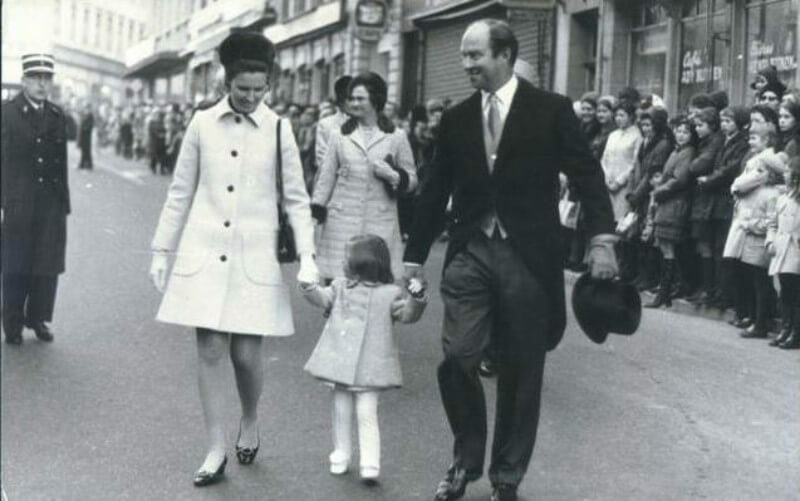 She then became Princess Joan of Luxembourg. The couple had two children together and remained married until the death of Prince Charles in 1977. 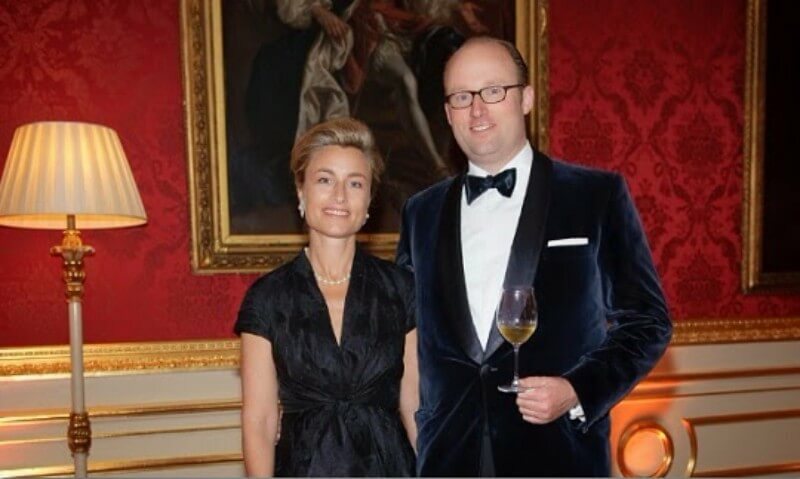 Joan Douglas Dillon and Prince Charles of Luxembourg had a son named Prince Robert who went on to marry an American wife just like his father wed his mother. Prince Robert completed his studies at the University of Oxford in England and then Georgetown in the United States. While in the States he met his future wife, American Julie Elizabeth Ongaro in 1987. In 1994, the couple finally wed in Massachusetts. At the time, Prince Robert did not “ask consent” and thus his wife was given no royal titles. The couple had three children together. In 2004, Grand Duke Henry upgraded Prince Robert’s wife and children to have royal titles as Princess and Princes of Nassau. John Owen Dominis was born in Schenectady, New York in 1832. As a child, his family moved to Hawaii while his father worked as a ship captain. There, John attended schools that were also attended by the royal Hawaiian family. Hawaii was its own country at the time and had not yet been colonized by the United States. In 1862, John married Princess Lydia Kamakaʻeha Pākī. Apparently, the two did not have a happy marriage for several reasons. While Princess Lydia wished to have her own children she was unable to do so. John continued to socialize without her and even sired a son with one of her servants. Although, the Princess later adopted her step-son. John’s mother also allegedly “looked down” on the Princess because she was not white. 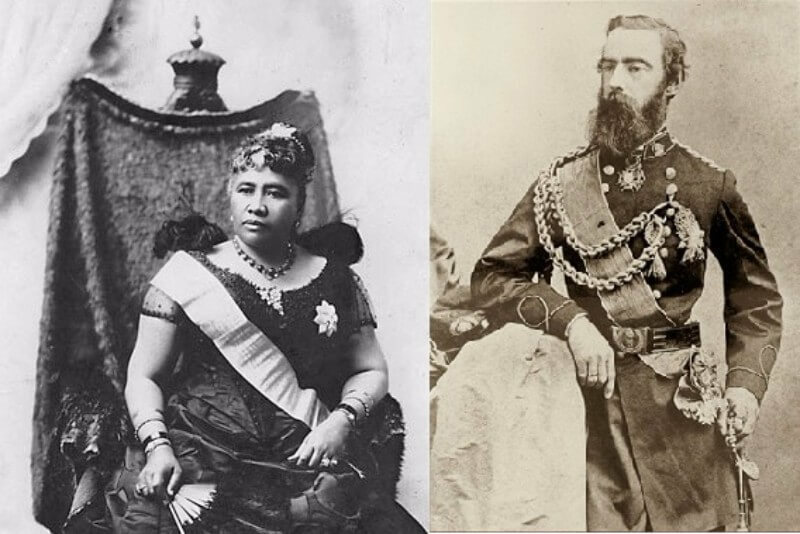 In 1891, Liliʻuokalani became Queen after her brother King Kalākaua died. John received the title of Prince Consort, although he died less than one year later. Anita Stewart Morris was born in New Jersey in 1886 into a well-to-do family. 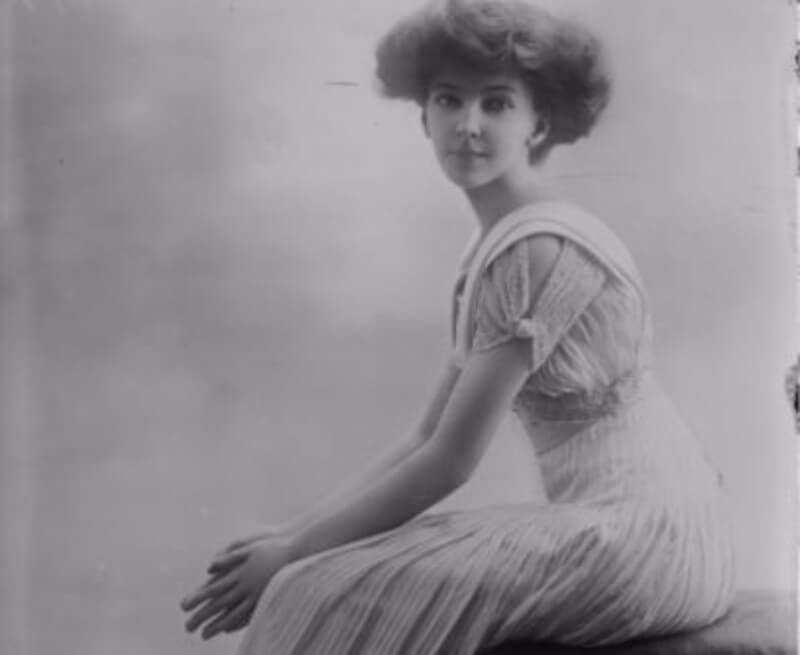 She was known as American socialite and heiress. She met and married Prince Miguel, Duke of Viseu and the grandson of King Miguel I of Portugal in 1909. Anita was given the royal title of Princess Anita de Braganza. She remained married to her husband until his death in 1923. The couple had three children together. At that time, she moved to New York City, however, she sought to regain her citizenship. In order to do this, she had to give up her royal title. Anita went on to re-marry and owned a photography studio. She lived until the age of ninety-one and died in Rhode Island in 1977. Julia Mullock was born in Pennsylvania to a Ukrainian-American family in 1928. As a young woman, she worked at an architectural practice in New York City at IM Pei. It was there she met her future husband Prince Gu of Korea. He had recently graduated from MIT and joined the same firm. At one point, Julia sought to leave the firm but Gu convinced her to stay. He also impressed her parents by learning a few lines of shaky Russian in order to speak to them. 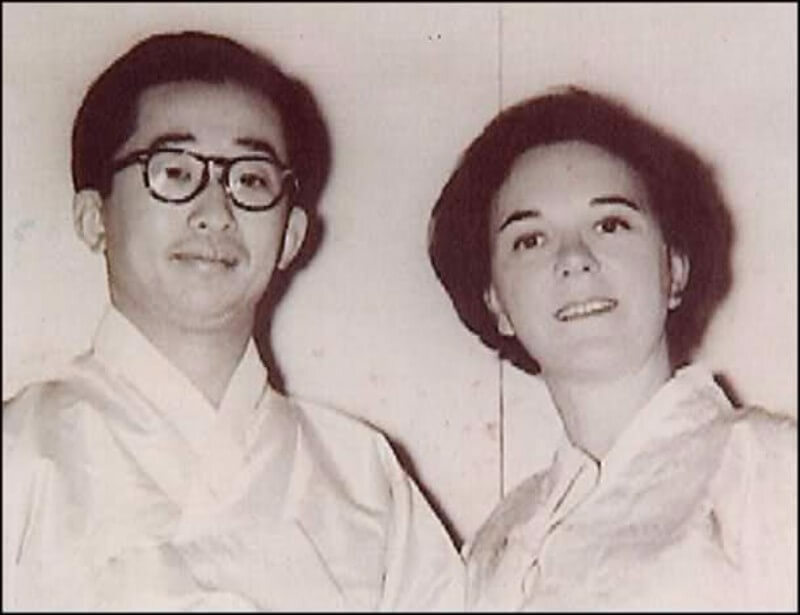 The couple married in 1959 and she became known as Her Imperial Highness Princess Julia Lee of Korea. Although, it is said that the two were never legally married. She remained married until 1982 when her husband divorced her. Reportedly, he was under much pressure from his family because Julia had not had any children. Julia died in Hawaii on November 26, 2017. At one point, there was said to be a feature film in production about her life, but no movie has come fruition yet. 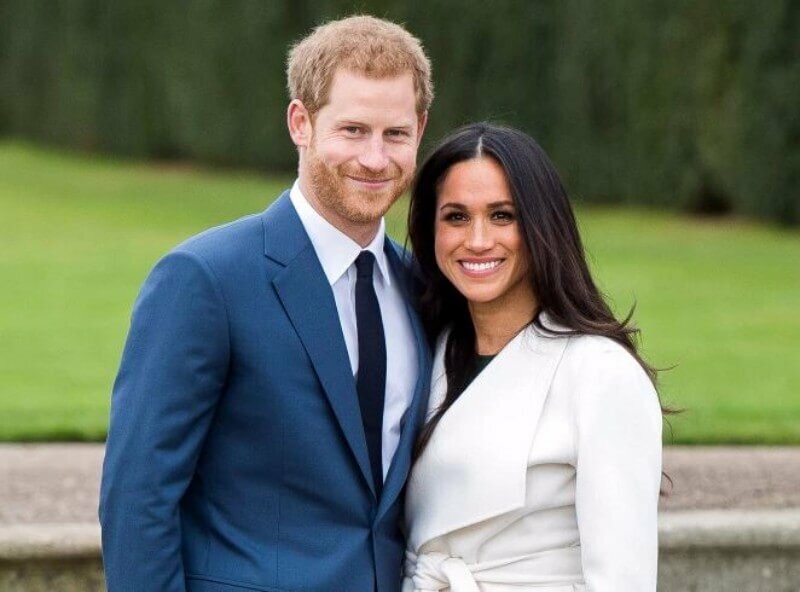 American actress Meghan Markle made headlines after her engagement to Prince Harry was announced in November 2017. Although there had been some telltale signs before the big reveal (namely, her departure from the show Suits), the world was delighted in the happy couple’s news. It’s also notable that Meghan, who is biracial, will be the first person of African descent to be welcomed into the English royal family. Meghan is not the only American woman to find herself caught up in a royal whirlwind either. In fact, there have been quite a few to precede her.Now that we’ve seen Americans that have married into royalty, let’s take a look at some other non-royals that married into a royal family. Jetsun Pema comes from the family of the Bumthang Pangtey, one of the oldest noble families of Bhutan. So it was no wonder how she first met Prince Khesar Namgyal Wangchuck Bhutanese at a family picnic when growing up. She was seven and he was 17 and he promised her that if she still wasn’t married when she was 20 that he would marry her. He was a man of his word, and on October 13, 2011, the now King Namgyal Wangchuck Bhutanese married her in a traditional Buddhist ceremony. She is now known as Her Majesty The Queen of Bhutan. Christopher Thomas was working as an accountant at Discovery Channel when he met Princess Ruth Komuntale of Uganda. At the time, she was studying at a University in Washington D.C. and the two eventually started dating. After some time, Christopher proposed to her at one of their favorite local restaurants. However, it wasn’t even until after Christopher proposed that he learned about her family and status back in Uganda’s Toro Kingdom. 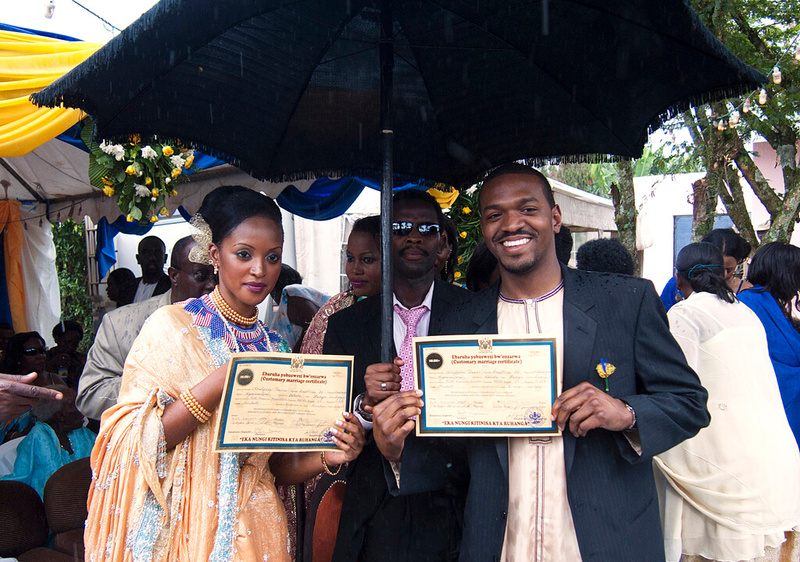 By marrying, Christopher was accepted into the royal family and was married on November 17, 2012, in her home country of Uganda. Back in the 1990s, Rania Al Yassin was working at the Apple office in Amman, Jordan. She had known Prince Abdullah’s sister and was eventually invited to a dinner party where she met the Prince himself. The two hit it off and had already been arranged to be married just two months after they had met at the dinner party. Although a prince at the time, he ascended the throne in February 1999, and the two were married a month later in March. Rania went from working for the Apple office to marrying the King of Jordan in just a few months. Letizia Ortiz Rocasolano was a CNN reporter that was covering an oil slick occurring along the coast of Galicia. There, she met Prince Felipe of Spain who was in the area as well visiting the towns and places that had been affected by the disaster. During their first encounter, the two had great chemistry and a relationship started. The two were married on May 22, 2004. 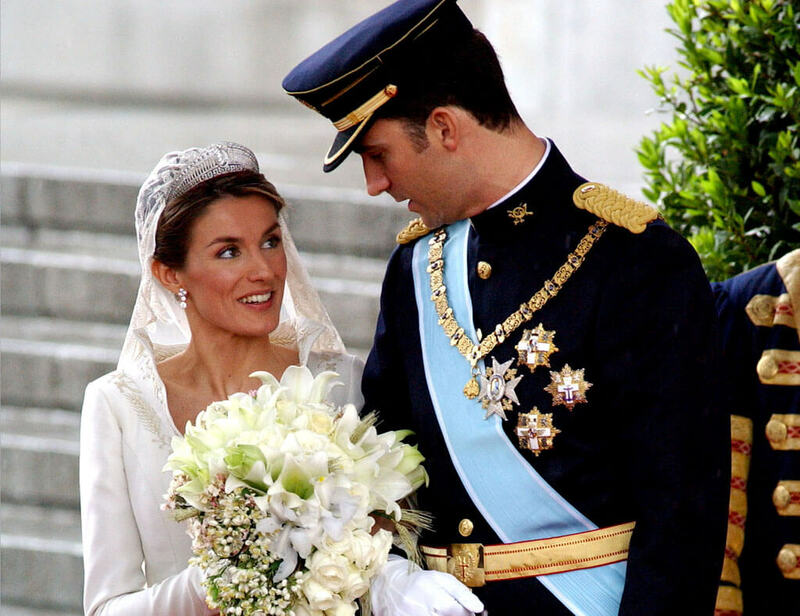 The couple now has two daughters together and Letizia is now Her Royal Highness The Princess of Asturias. Tatiana used to work as an event planner and fashion designer for Diane von Fürstenberg. She was invited on a ski trip in 2003 through a mutual friend where she ended up meeting Prince Nikolaos of Greece. Up until meeting Tatiana, the Prince has been a known bachelor for some time but fell for Tatiana almost instantly. After seven years of dating, the two finally got married on August 25, 2010. They hosted a traditional Greek ceremony in which Tatiana officially became Her Royal Highness Princess Tatiana of Greece and Denmark. As a young adult, Farah Pahlavi was studying architecture at the École Spéciale d’Architecture. It was here that she met the Shah of Iran Mohammed Reza Shah Pahlavi. At the time, he was meeting with various Iranian students to learn about their studies, political views, and make himself a man of the people. Farah was one of these students. One thing led to another and the two were married from December 21, 1959, until July 27, 1980, after the Shah passed away from cancer. 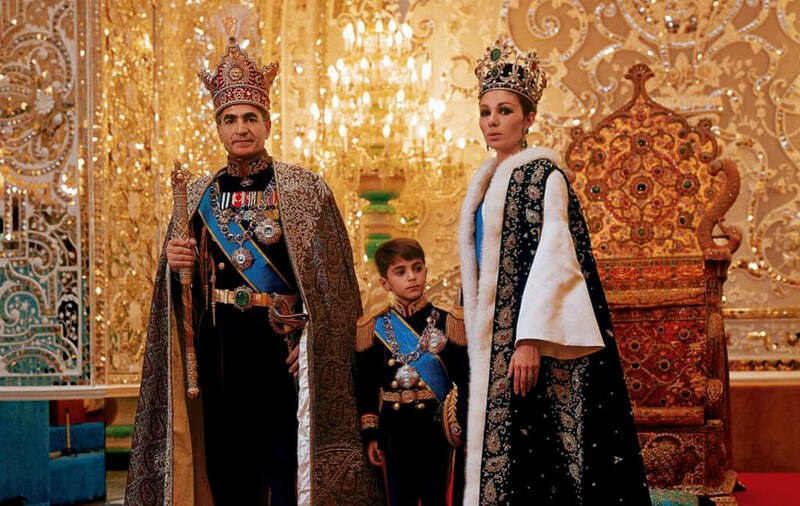 Although she is not exiled from Iran for political reasons, she was once Her Imperial Majesty The Empress of Iran. Charlene Wittstock is a former South African Olympic swimmer. During a swimming competition in Monaco, she met Prince Albert II of Monaco, who is actually the son of Grace Kelly. After some time dating, the two announced that they were officially an item at the 2006 Olympic Games in Turin, Italy. The two were married on July 2, 2011. Although the two have been rumored to have been having marital trouble, the two are still together. Charlene is officially known as Her Serene Highness The Princess of Monaco. Adans Lopez Peres was an award-winning circus acrobat. Somehow, he got involved with Princess Stephanie of Monaco and the two became romantically involved. 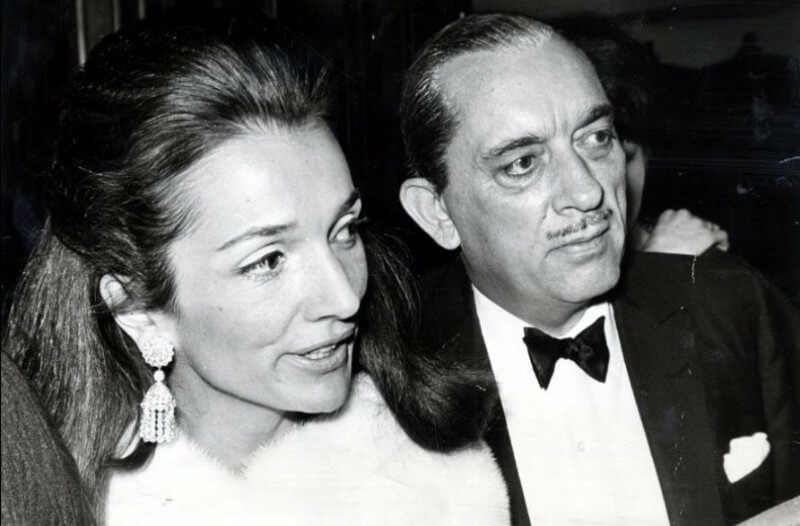 To many, it seemed a bit odd Princess Stephanie fell for a Portuguese trapeze artist who was a 5th generation circus performer and 10 years younger than her. Nevertheless, the two were secretly married on September 12, 2003, in Switzerland. Yet, the marriage didn’t last long and the two were divorced in 2004. Adans only had a taste of the royal life. Interestingly enough, Prince Charles of Whales actually dated Diana’s sister Sarah before ever becoming involved with Diana. However, Prince Charles eventually discovered that it was Diana that he wanted and the two struck up a relationship. 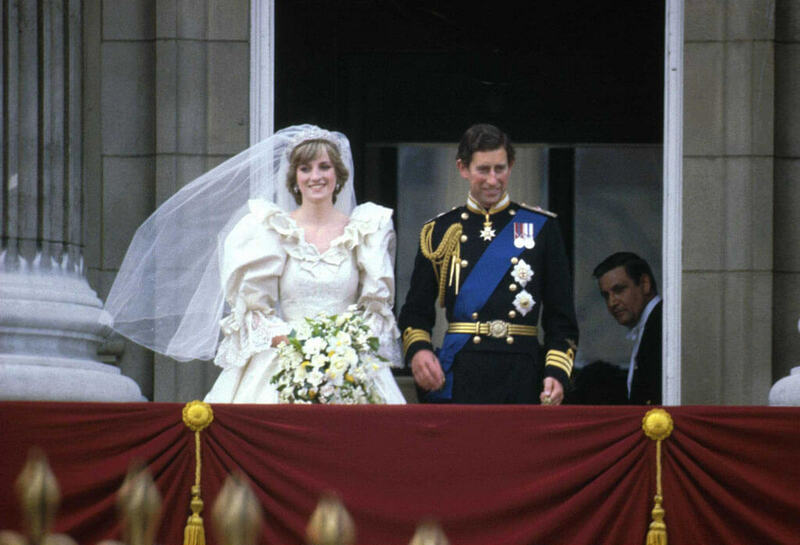 Although Diana was only 19 and Charles was already over 30, the two were married on July 29, 1981. Tragically, they divorced in 1996 and Diana perished in a terrible car accident almost a year after their divorce. While Princess, Diana won the affection of people around the world, which made her death that much more heartbreaking. During the 1972 Olympic Games in Munich, Germany, Silvia Sommerlath was working as an interpreter and a host for the games. While simply doing her job, she came into contact with King Carl XVI Gustav of Sweden. The two hit it off right then and there and fell in love. 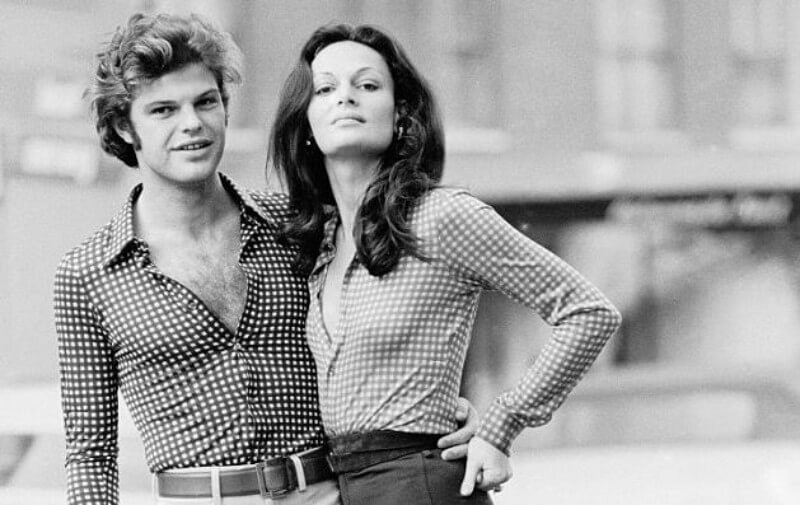 After four years of dating, the two married on June 19, 1976. 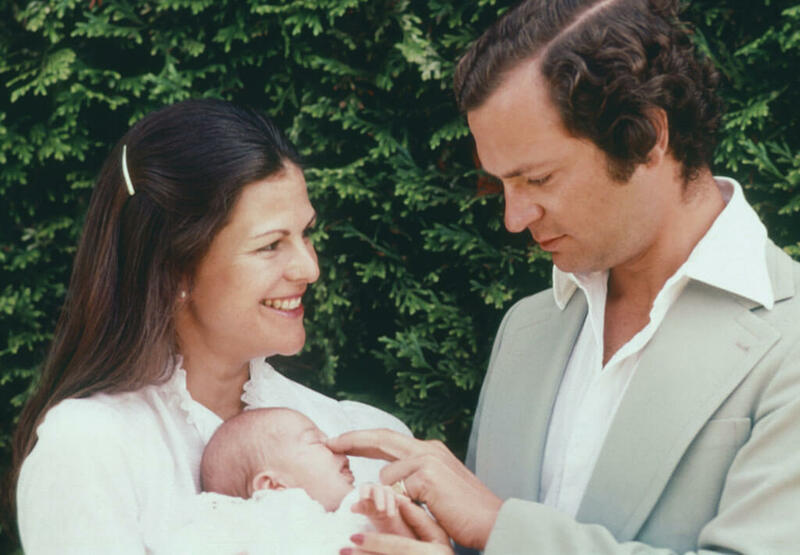 They had three children together and Silvia has lived as Her Majesty The Queen Silvia of Sweden. Definitely a little bit of a title change from an interpreter to the Queen of Sweden. Believe it or not, Mette-Marit and the Crown Prince of Norway met each other at the biggest rock festival in Norway called the Quart Festival. Well, it wasn’t exactly in a mosh pit, but they met during a garden party at the festival. Although the two met briefly, it wasn’t until years later that they actually started dating and fell in love. They were married on August 25, 2001, and have had two children together. 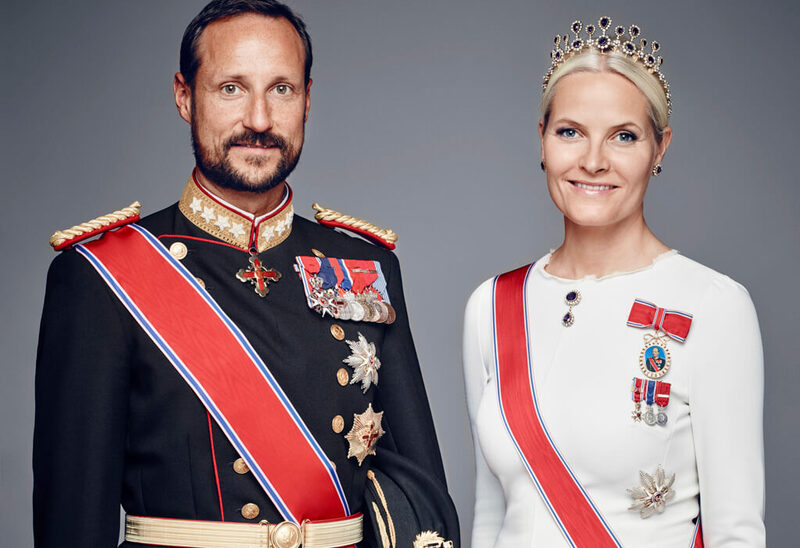 Mette-Marit also has another son from a previous marriage and is now called Her Royal Highness the Crown princess of Norway. 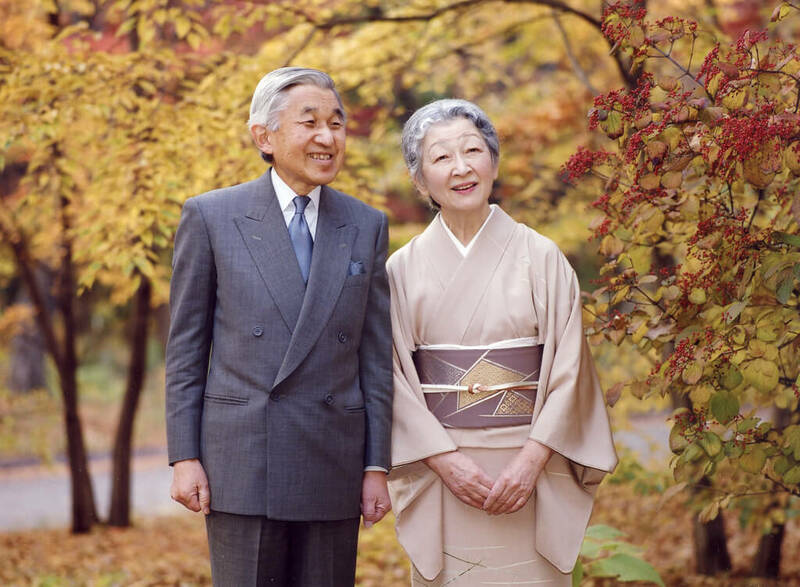 Oddly enough, Michiko and Emperor Ahikito of Japan met each other at a tennis match in Karuizawa back in 1957. Although the two had fallen in love, Ahikito’s desire to marry Michiko was met with opposition from many individuals including his own mother. They wanted him, a prince at the time, to end up marrying someone from the formal Imperial family or a member of the Japanese monarchy. Yet, Akihito refused and married Michiko instead. The two have remained married since April 10, 1959, and have three children together. They went against tradition together again when they decided to raise their own children instead of the Court chamberlains. Daniel Westing started off as the personal trainer to Her Royal Highness The Crown Princess Victoria of Sweden. Over time, the two fell in love and were married on June 19, 2010. However, it wasn’t an entirely smooth transition. Victoria’s father, King Carl XVI Gustav was completely against their marriage. He didn’t think that his daughter should be marrying someone that was just a personalize trainer that she likes. However, after Daniel attended a form of prince academy and learned the specific mannerism and rules of royalty, he was accepted into the family. Daniel Ducruet and Princess Stephanie began dating rather secretly. They kept things under wrap for most of the time until it was discovered that his girlfriend who was not the princess at the time was six months pregnant. This brought media attention to the situation. Then, the Princess and Daniel went on to have two children out of wedlock until her father Prince Rainer finally allowed the two to get married. They were married on July 1, 1995, but divorced after Daniel was caught cheating with Muriel “Fili” Mol-Houteman, former Miss Bare Breasts of Belgium 1995. Safe to say that the marriage seemed weak at the start and ended up crashing and burning. 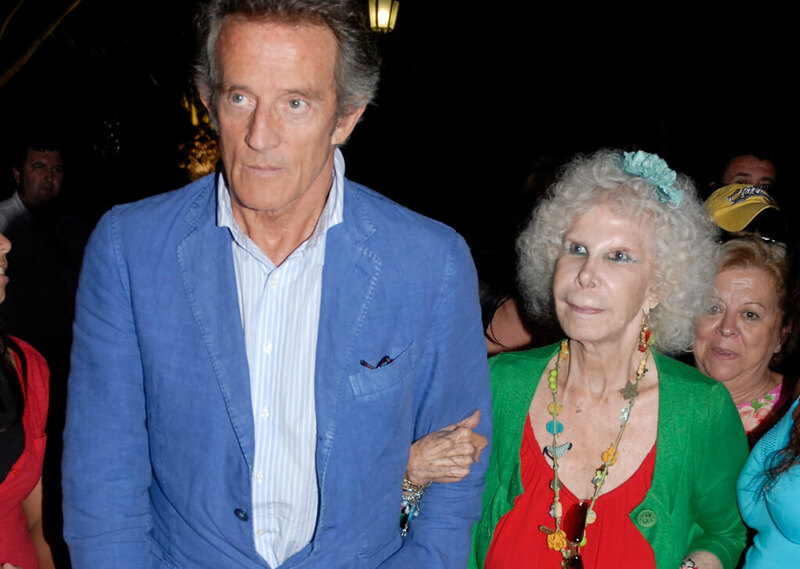 Alfonso Diez was a close friend with Cayetana Fitz-James Stuart, the 18th Duchess of Alba for years. However, he eventually proposed to her even though he was 24 years younger. Although the Duchess didn’t think much of it and was more flattered than anything, her children were not happy. They believed that Alfonso is just in it for the money. Yet, Alfonso gave up his rights to her $800 million and $4.6 billion fortunes to marry her. They were married on October 5, 2012. Even though he gave up the money, two of the Duchess’ children were not in attendance at the wedding. In 1986, Masako met the Crown Prince Naruhito of Japan at a reception for Spain’s Princess Elena in Tokyo. Masako had studied at Harvard and was very impressed and attracted by her. He wanted her and made many attempts at courting her. He even proposed numerous different time until she finally said yes. The two were married June 9, 1993, and have a daughter together. Clearly, Masako deserves the title of The Crown princes of the Imperial House of Japan if the Crown Prince had to devote part of his life chasing after her. 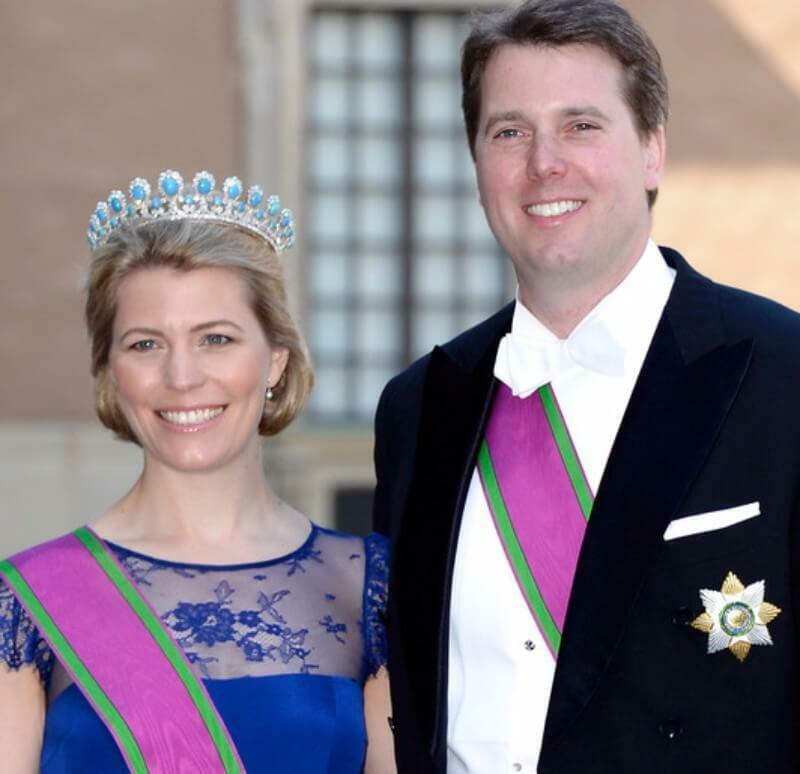 Mabel ended up meeting Prince Johan Friso of Orange-Nassau through a mutual friend named Laurentien Brinkhorst. Brinkhorst even went on to marry Johan’s brother, Prince Constantijn. 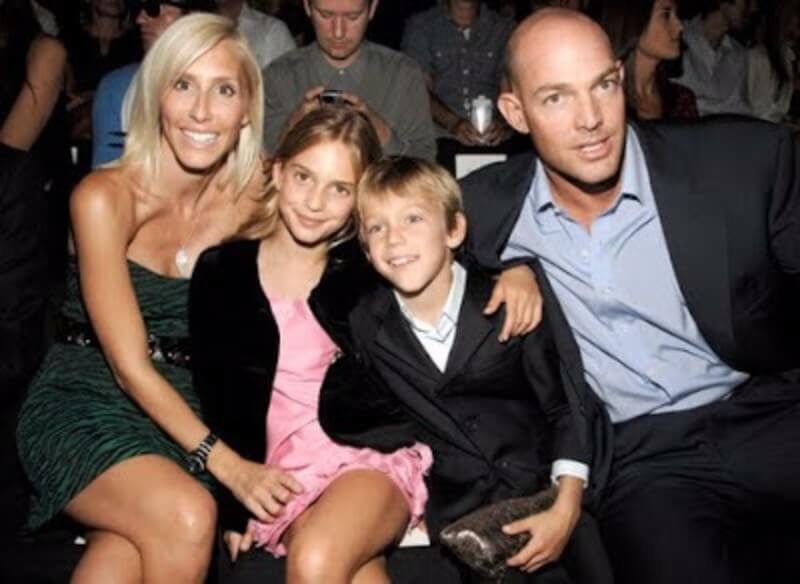 The couple was married on February 2, 2002, and have three daughters together. However, Johan was forced to give up his claim to the throne after the government refused to approve heir marriage after the Prime minister learned that Mabel was romantically involved with a known drug dealer while in college. Although they are still technically, she is called Her Roya; Highness Princes Mabel Martine of Orange-Nassau but only by title. Lalla Salma is a former engineer that supposedly met King Mohammad VI of Morocco at a private party in 1999. For the most part, very little is known about the beginning of their relationship because they kept it low profile. However, the two were married on October 12, 2001, and share two children together. Lalla has also earned her titles of Her Royal Highness Princess Lalla Salma as she sometimes with participate in political matters and even represents the kings during official meetings at times. Mary and Prince Frederik of Denmark met at the Slip Inn during the 2000 Summer Olympics in Sydney Australia. The two hit off and Frederik left out almost everything about his family, even introducing himself as Fred. Mary said that he didn’t tell her that he was a prince until the two were seriously involved. That fact was probably a little bit hard to hide when you meet a prince’s parents and extended family. The two were married on May 14, 2004, and they have four children together.